Most people know blockchain as the technology behind Bitcoin and other cryptocurrencies, but it has the potential to revolutionize a number of industries, such as healthcare. 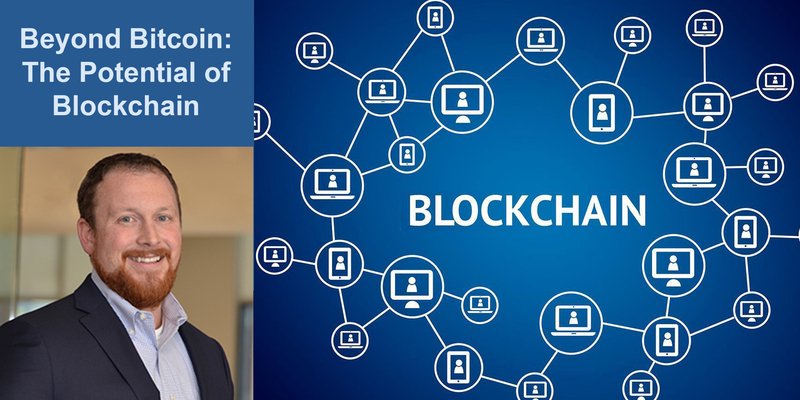 Join us on Tuesday, April 10, from 6 – 8 PM , at Genscape Inc. for a talk by Kyle Culver, a thought leader in the application of Blockchain Technologies to the Healthcare Industry and a key member of Humana Inc.’s technology advancement team. Culver will share his thoughts on blockchain and his winning entry in the Blockchain Challenge, a competition to use the technology for health care innovation hosted by the Department of Health and Human Services’ Office of the National Coordinator for Health Information Technology (ONC). Kyle finished third in the challenge and competed against teams from thought leaders such as MIT, Accenture, Deloitte, IBM and the Mayo Clinic. Tickets for this event include light snacks and a drink ticket. Limited parking will be available in the lot, but primarily on the streets surrounding the venue. Arrive early for a good spot and for even better networking. Special Thanks to our generous hosts!